Hey guys! 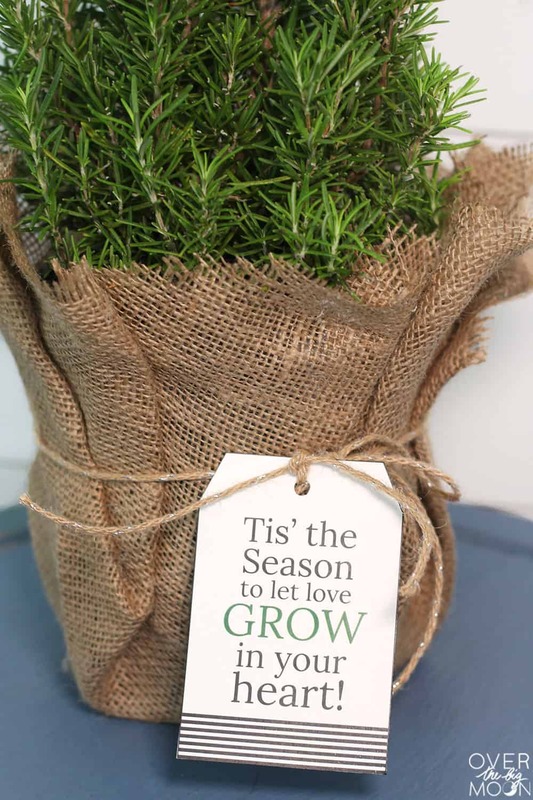 I shared this fun Teacher Christmas Gift Idea a few weeks ago on I Heart Naptime and wanted to also share it with all you guys! 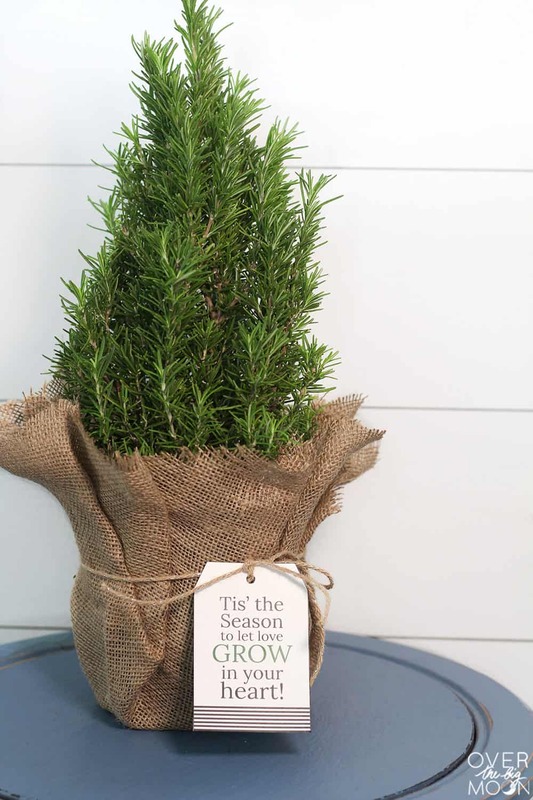 This Mini Christmas Tree Gift Idea is so fun and easy! 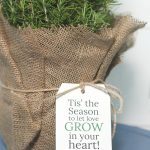 I can’t decide if I want to gift this or my Bundt Cake Gift Idea to my kids teachers this year! I ran into these little plants the other day at Lowe’s and I literally stopped in my track over how yummy they smelled! 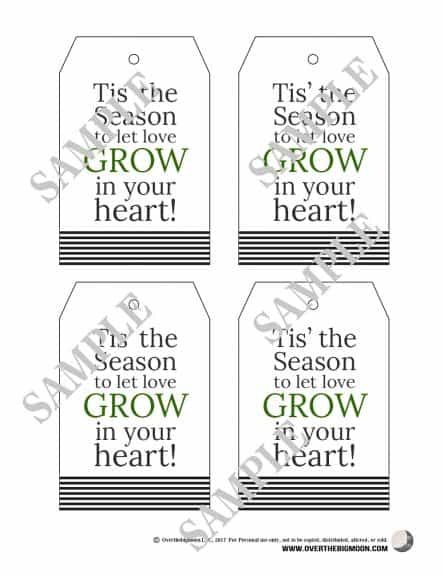 I just KNEW I need to turn these into little gifts for friends and teachers this year for Christmas! 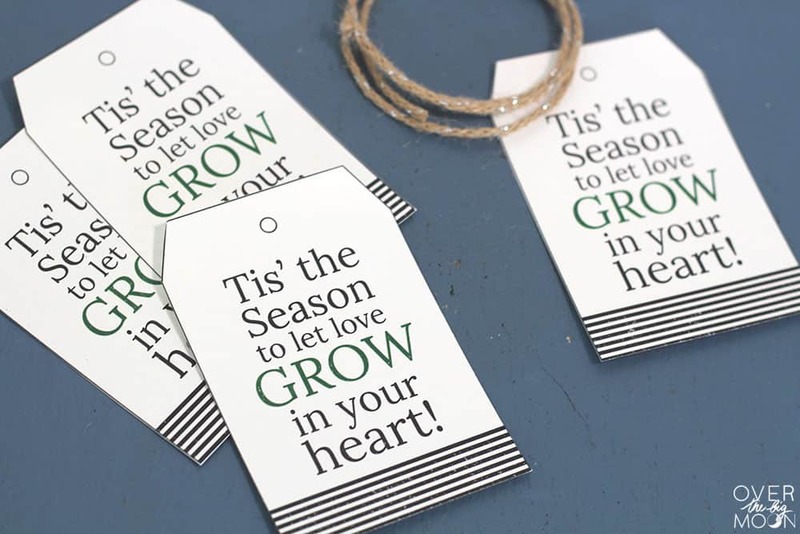 I put together this simple printable tag to go with it and I love how it turned out! To put them together should only take you like 15 minutes! And if you’re putting a bunch together then it’s even quicker! 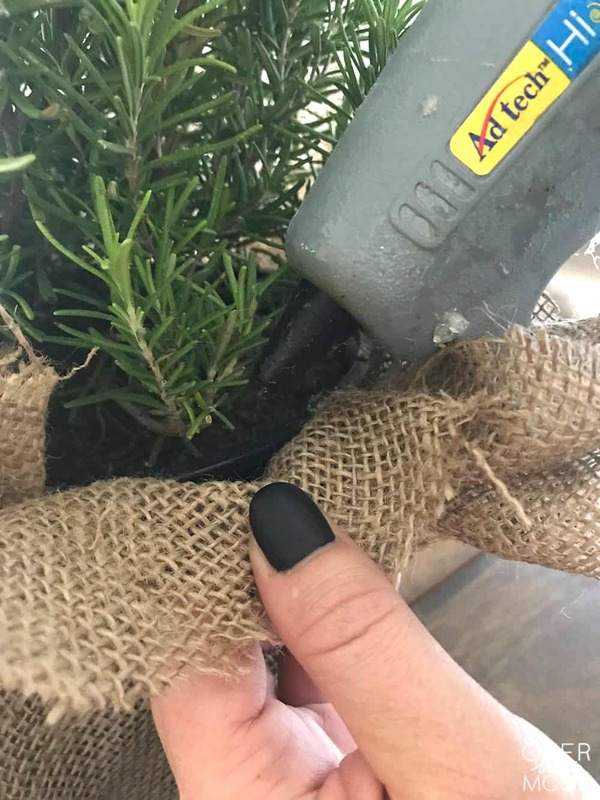 First, arrange the burlap loosely around the pot and tie your jute twine around the pot. Then, you’ll pull and arrange it slowly by hot glueing it in place. 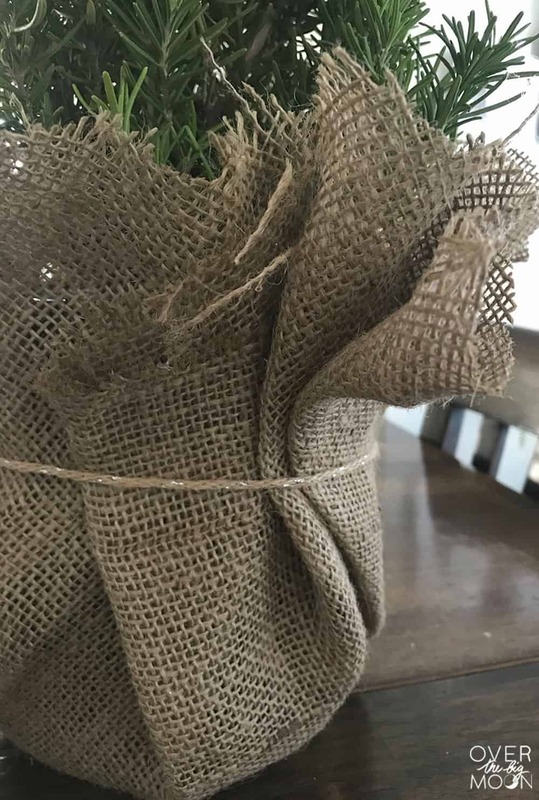 I also liked to hot glue some of the flaps and overlays in the burlap to keep everything in place better. There is no right or wrong way to do this! Just play with it and hot glue it in place when you like the way you looks! 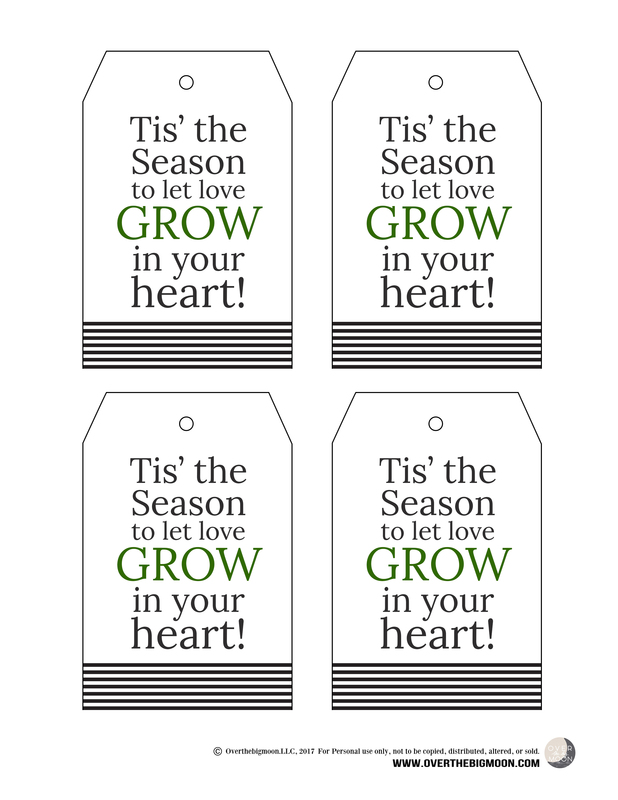 Next, download the printable tags below and print them on white cardstock! 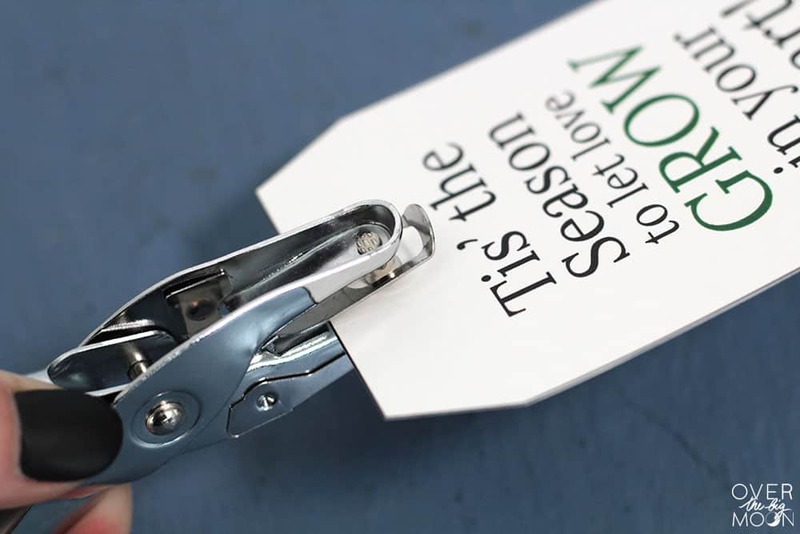 Use a single hole punch or the end of some scissors to punch out the hole in the gift tag that you’ll need to weave the jute twine through! 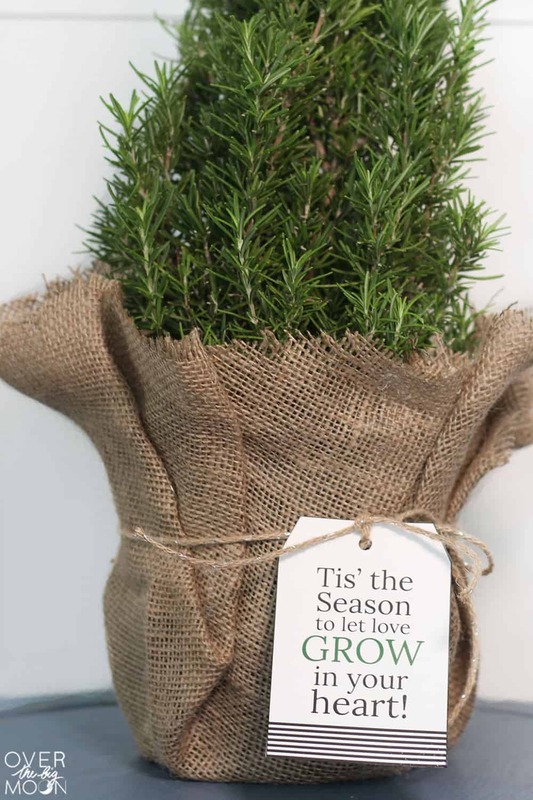 Then attach the tag with some additional jute twine to the front of your rosemary tree! It’s as simple as that! 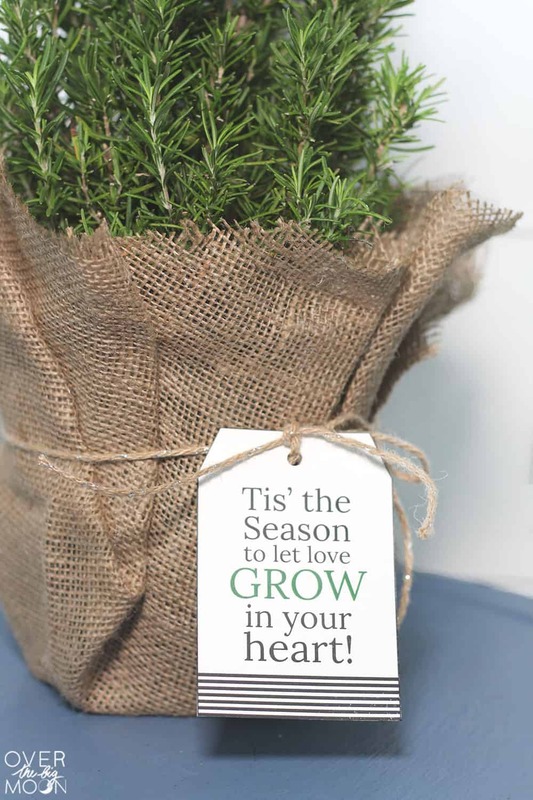 I love that this gift is perfect for almost anyone in your life – a friend, co-worker, teacher, neighbor and more! Have a great day friends! If you love this idea, I’d love for you to pin the below image! Pam is a stay at home working mama that enjoys all phases of life! Between her 3 kids, fur baby (a beyond cute Goldendoodle), wonderful husband, friends and working, she stays pretty busy! But, she is loving every aspect of her life! Here on Over the Big Moon, she loves to share DIY's, recipes, printables, organization tips and more!